Ginger may be the cutest little firecracker you’re ever going to meet. She refuses to let the little “bumps” in life get in her way. 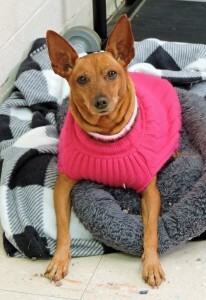 She’s a Miniature Pinscher mix who has a bright and beaming attitude to match her shiny red coat. Ginger has picked up a few injuries over her 7 years of life, but nicked ears and leg limps give her extra character and for a dog her size, she has a long life to lead with a lucky family. Ginger loves to go on walks and visit new places, plus she does excellent on leash; she also does very well with other dogs, but she thinks cats are really fun to chase so she would do best in a home with no cats. Ginger has been a house pet before, and when she’s not prancing about trying to make you smile, her favorite place to be is in your lap. Let Ginger teach you to treat every challenge as a chance to shine, and come visit her today! Fresh and airy, Aster flits about making new friends wherever she goes. She’s a clown wrapped in a soft tabby coat and she’s ready to take her show on the road. 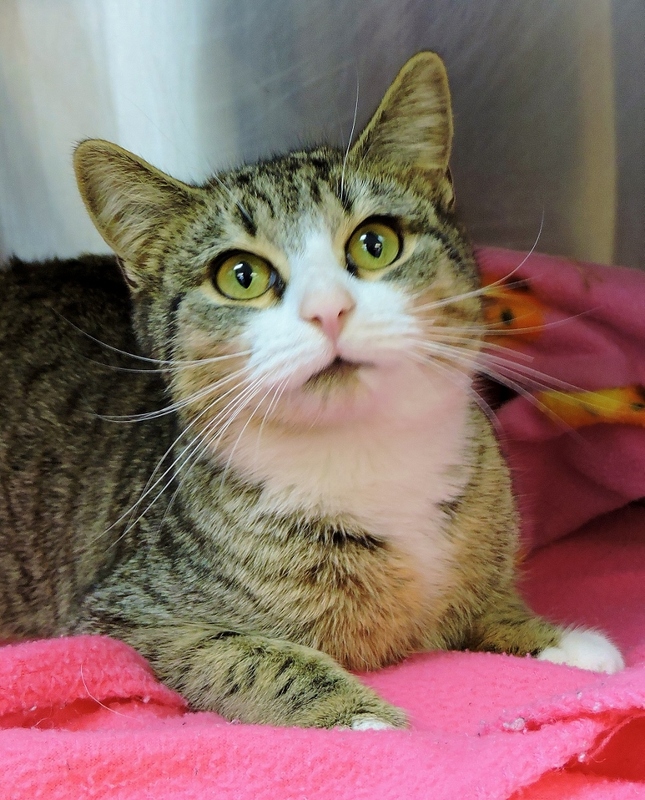 Aster is only 9 months old and still has a little growing up to do, but this petite girl is smart, sweet, and ready to become a part of a loving home. She is gentle enough for other pets and small children, but lively enough to add the perfect spark to any family. Aster has manners when it comes to keeping clean around the house, so she will fit nicely into a house or apartment. Her light-hearted nature and wildflower spirit are going to give a lucky family a brand new outlook. Aster is just what you need to chase the winter blues away!